Remember Archie? From the comic books? They're killing off Archie Andrews in issue 36 of "Life With Archie," a comic book about Archie and the gang after they graduated Riverdale High. Now, I gotta admit that I was never a fan of the comic books. Superman. Batman. Spiderman. Archie. Richie Rich. None of 'em. I don't know why. Sure, if I saw one on the wood slat benches at the redneck barber shop I got took to as a kid, I'd pick it up and read one. 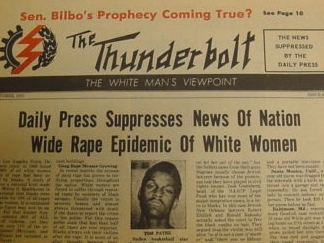 It was either read that or the Thunderbolt. I made the right decision. But still, I never read a lot of comic books. Don't know if I ever bought any. Might have got someone to buy some for me, but I'm not sure. Comic books weren't that big a deal to me. And, neither were the characters in the comic books. But, they sure were -- and are -- to many people. And, now they're killing off Archie. Is that a good thing? Should they be killing off comic book characters? Archie always kinda struck me as a non-serious comic character. Sure, they've tried to make social commentary over the years, particularly recently. But, should comics -- non-serious comics, that is -- try to be serious? It's like one of those A Very Special Blossom shows. And, perhaps a better question would be, who would be a better comic book character to kill off? And don't say Caspar the Friendly Ghost. That's cheating. Let's go with that question instead. What comic book character would you like to see killed off? How about this guy? That'd be a comic book worth paying for. They're just setting Archie up to be Darker Phoenix. Charlie Brown. I can't tell you how much money I have lost on NFL games because he can't kick the ball. Is issue 37 called "Death with Archie" or "Life without Archie"? Archie's death heralds the zombie apocalypse. Superman needs to die. Permanently this time. Archie is the perfect choice. He is a RedHead and I suspect he may be Irish. Hey, watch it Burt. My new grandson is a redhead and almost 1/2 Irish. BTW, I didn't do comics as a kid either, Basil. My hobbies killing Englishmen, River Dancing and getting crew cuts. I did like Zoro on TV in the 50's, however. Had a cape, mask and sword - the whole bit, at age 6. Didn't they make a cartoon of Mohammad? If you killed that cartoon character off, would that get you jihaded exponentially? Reggie. He's really got it coming. Good riddance. Die, Archie, die. The Pep Comics Group had such titles as Madame Satan, The Fireball, Captain Commando, The Hangman, Fu Chang, the International Detective, and The Black Hood. Oh yeah, and Archie. Archie was obviously the perpetual outsider in a universe of superheroes and sinister badasses. Look at this as mercy. The big question: Will Obama try to 'blame Bush' for Archie's demise? OK, OK, not technically a comic book character, but he IS a cartoon character. Does he get to die of A.I.D.S., or is that too 80's? What comic book character would you like to see killed off? Jughead...because I was always suspicious of his hat. Archie’s death heralds the zombie apocalypse. Bah! There's too much unnecessary drama in the world, I refuse to acknowledge this exists! I think my favorite Archie comic was the time The Punisher came to Riverdale. No, really. Look it up. 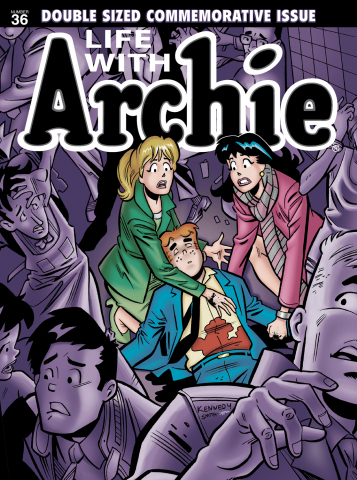 Archie will die heroically on that Malaysia flight...or will he? If he's on it... if it really does crash... or maybe it didn't. .. do you see any red headed debris floating on one of the dozen possible sightings?